Edmonton city councillors have rejected a proposal to spend a pretty penny on workspace renovations, as outlined in a city report last week. Councillors spent barely any time on the topic during a council services committee meeting Monday, although the agenda included an item to reconfigure their offices with costs ranging from $500,000 to $5.2 million. Coun. Andrew Knack said he and his colleagues have no appetite for such extensive upgrades. "Nobody felt that was an appropriate use of money because that would have to be a new budget request," Knack said Monday. He said council would need to find the money somewhere and that could potentially mean a property tax increase. "Members of council feel comfortable working within their existing spaces and yeah, we're being a little more creative than before but it's better than spending half-a-million dollars or more." Last fall, council asked administration to research ideas to quell noise as well as boost privacy and security in the 12-councillor wing. City administration presented four options. 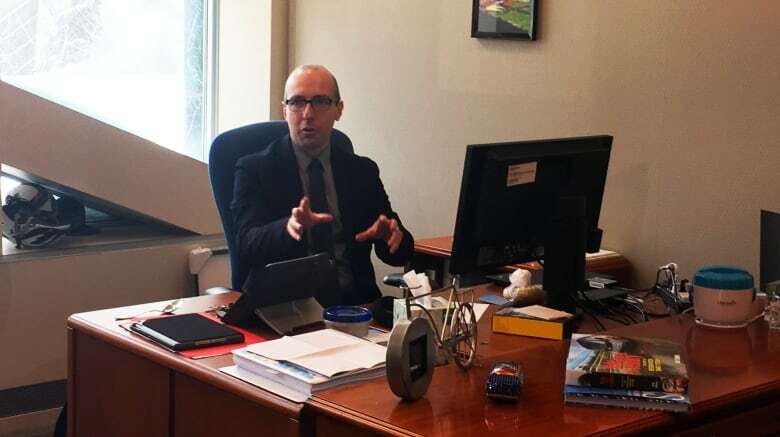 At an estimated cost of $500,000, the cheapest option would create room for three staff workstations within a councillor's office, including a semi-private space for the executive assistant. 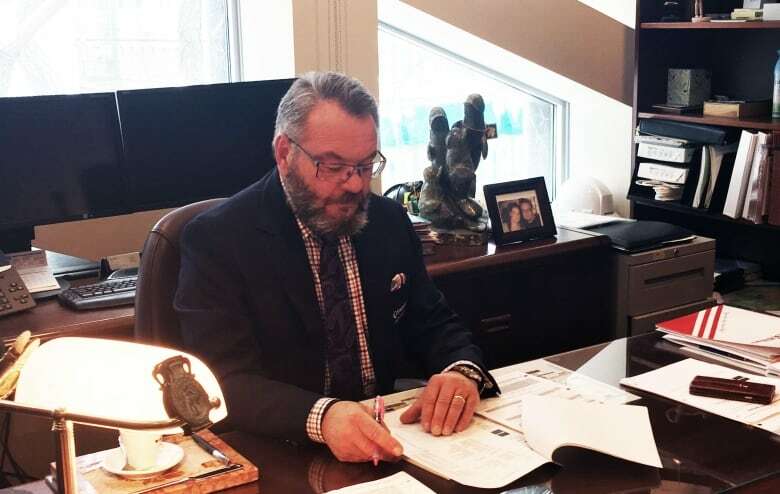 At $5.2 million, the most expensive option would develop a new office space on city hall's mezzanine level, with eight councillor suites on the second floor and six in the existing wing. An elevator and staircase would link the two floors. That option was developed to accommodate a potentially larger council in the future. But in a ward review last November, councillors agreed to not increase their numbers from 12 to 14 or 16 elected officials. "Part of why we had that report is that if we did go to 14 or 16 councillors, you would need to have tapped into that space," Knack said. 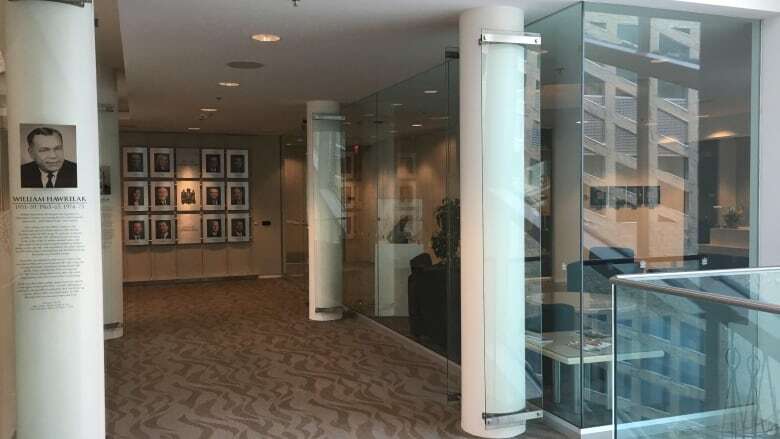 Instead of the pricey renovations, council approved spending up to $25,000 to install a glass door in the corridor to reduce noise from the outside hallway. Coun. Tony Caterina, who's been on council for 12 years and enjoys a well-decorated office at the end of the hall, says he's not affected much by outside noise. "This has never been an issue," he said of the renovation options. However, he recognizes that colleagues whose offices are closer to the pedway are more affected by noise and lack of privacy. "Something fairly easy as a door certainly makes a lot of sense if it alleviates their concerns." Edmonton's City Hall was built in 1992. The civic plaza in front of the building is being renovated to the tune of $13 million, in part to meet new provincial safety codes for the wading pool.